Zefon International is a longstanding partner with air quality experts around the world. With an extensive catalog of high-quality equipment and a commitment to standing behind everything we sell with exceptional customer service, we are your one-stop shop for everything you need to monitor environmental and occupational health and safety conditions. Shop online for fast delivery anywhere in the United States. For international sales, visit our Dealer Locator page to find a representative in your area. Our sampling media includes preloaded cassettes, filter membranes, surface sampling equipment and more. The proprietary Air-O-Cell® bioaerosol cassette — one of our bestselling products — is industry-proven and independently tested for rapid collection of viable and non-viable aero-allergens such as mold, spores, pollen, insect parts and more. We manufacture and distribute reputable brands of area pumps, personal pumps and IAQ pumps, as well as sophisticated calibration equipment to keep those pumps running at their correct flow rates at all times. All products are easy to use and affordably priced, making them an excellent overall value. : Specialized air sampling and monitoring equipment available from Zefon International includes personal noise dosimeters, dust monitors, optical particle counters and more. The instrument manufacturers we represent deliver true portable power, a wide range of interface and data management configurations, and extensive programming options. Our gas detection equipment lineup includes passive air monitoring badges, Gastec® and Sensidyne® gas detection tubes with built-in calibration scales, pumps, CBA analysis kits and more. Leverage our expertise in air quality sampling and monitoring. We offer a variety of safety supplies such as acetone vaporizers, microscope slides and covers, sample collection and storage bags, and respirator fit test kits. Count on us for defect-free air sampling products that work reliably every time you need them. We have one of the largest assortments of air sampling products online, with options for all professionals. By manufacturing many items in-house and partnering with many great manufactures of other brands, we are able to offer our products at an affordable price that delivers excellent overall value. Order online and get your purchase shipped out to you in days, not weeks. Our team of experts is available to provide informed advice and no-pressure sales assistance by phone or email. Meeting the ISO 9001:2015 standard for quality management ensures everything that leaves our facility — and every interaction with our customers — meets our high standards. Explore our website and find out why we're the choice of industrial hygienists, researchers, damage restoration contractors, construction and mining safety workers, and other professionals. 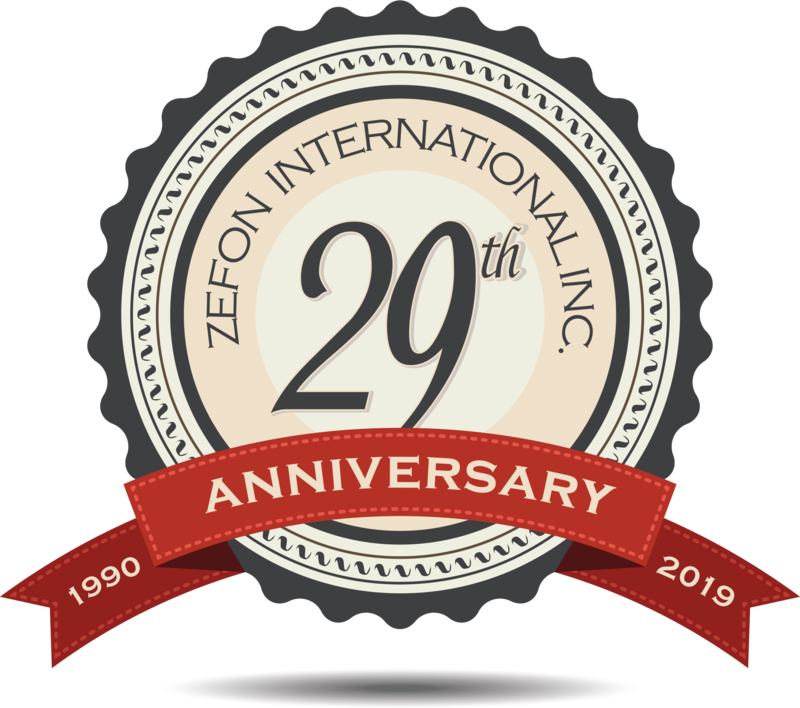 Shop Zefon International online, call one of our highly trained sales reps, or visit your local distributor for assistance. You can also download our catalog to learn more about our superior air sampling products.